Magento is an open source CMS (Content Management System). It is widely used as e-commerce platform to create e-commerce web-sites. 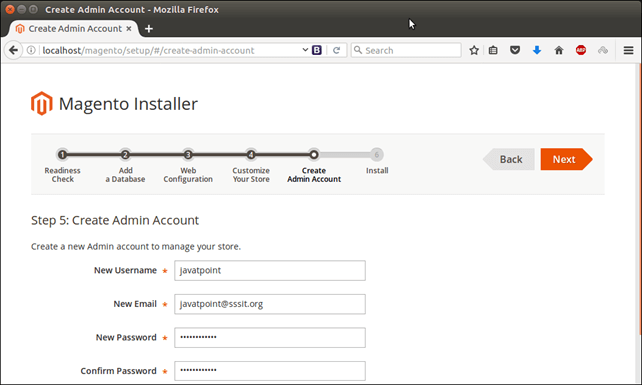 Here, in this tutorial, we will install this CMS in Ubuntu operating system. Before installing, we must fullfil all the following prerequisite. After downloading, extract it into /var/www/html/ directory. First, we need to set permission for the project to access it over the browser. Now, access the folder from the localhost by specifying localhost/megento. Browser will produce the following output. 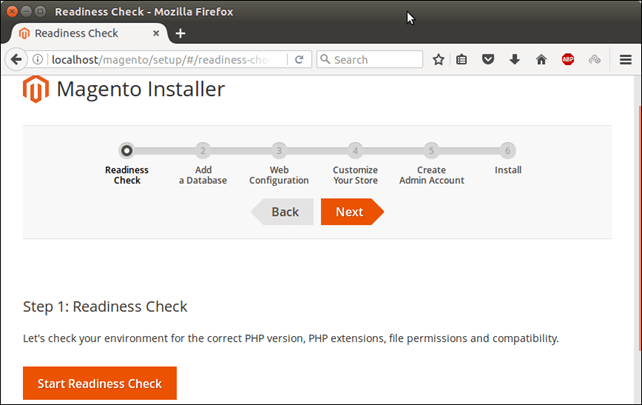 In this phase, magento installer verifies and checks all the required plugins available in the localhost. After that it generates a report and displays as given below. Create a database in MySQL byusing following command. 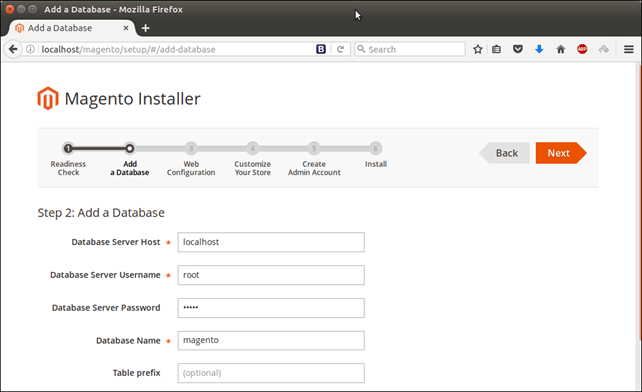 Provide database information and credentials to setup magento with database. Set home page url and magento admin address. 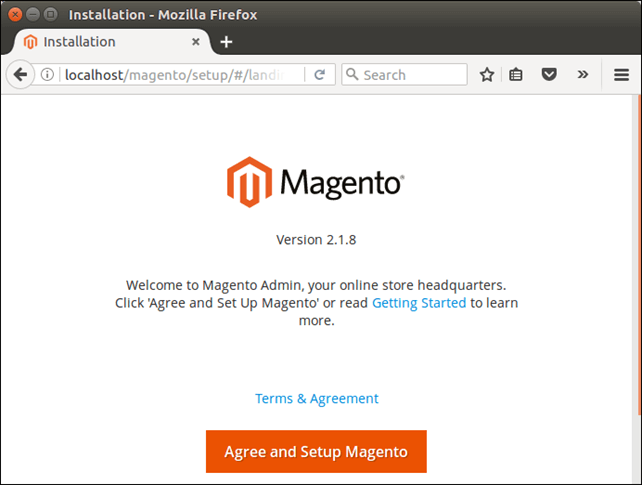 Access by using the localhost/magento/admin.